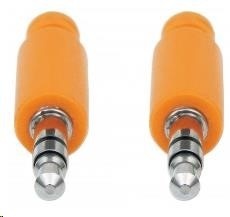 Specifikace kabelu / redukce:Jack / Cinch. Wired for Sound and Excitement. 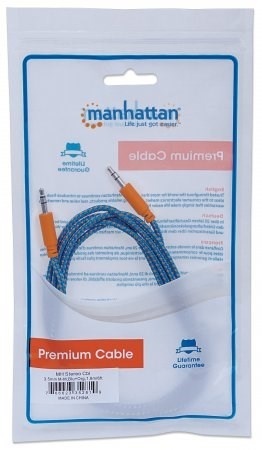 Vibrant, expressive and extremely useful, Manhattan Braided Audio Cables let you play music from your smartphone, tablet or other mobile device through virtually any stereo system, portable speaker, car stereo or other audio source. 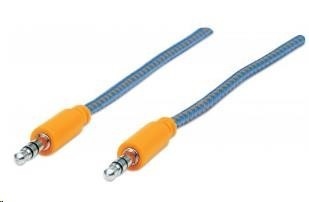 The colorful, braided-fabric jacket makes this cable virtually tangle-free and extremely durable. Plus, it has corrosion-resistant 3.5mm audio stereo contacts for the best sound quality possible.